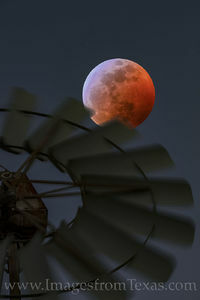 "Blood Moon over a Windmill in the Hill Country 2"
Photographic prints face-mounted to acrylic have a vibrant color, clarity and depth. The image will be printed on Epson Premium Glossy Photo Paper unless otherwise requested*. This paper produces vivid, life-like images that is a favorite among discerning photographers and artists. Light passes through the acrylic in a unique way that illuminates your image for a modern and sleek aesthetic look. The mounted print is fixed to black 3mm pvc for added support and has a wooden backing. This product comes ready to hang. * A metallic paper finish is available, as well. Please contact me for details.